You read that right. You -hopefully- understood it wrong. Pry open the legs for a taste of the tender meat within… that wasn’t sexual at all, or was it? Regardless, allow me to your guide, your crab chaperone if you will. I will show you where to go to for the best crustaceans Sin City has to offer. All you need care about is the latter. Stone Crab. One of the gems of the Forum Shops at Caesar’s Palace. The service is impeccable and the food is the epitome of what every restaurant should aspire to be. Dining at Joe’s isn’t a meal, it’s more of an experience! The stone crab, simply put, is perfection. It is a feast for the eyes in addition to the taste buds. The meat is sweet, smooth and melts in your mouth. The Must Have: The Stone Crab. Seriously. It’s right there in the name. The Plus: The Key Lime Pie. Heaven on a plate. Let’s change things up a bit. 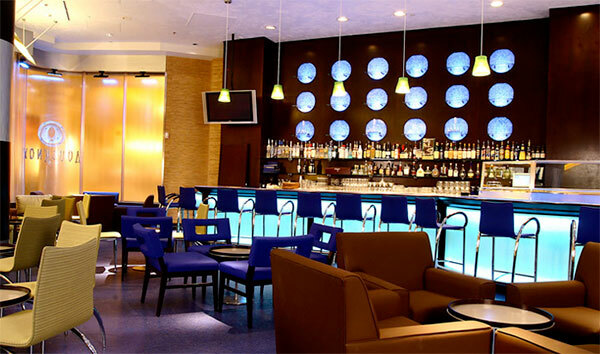 Visiting Vegas and willing to trying something off the strip? Looking for good seafood that won’t break the bank but will live up to the hype? Then Smokin’ Crawfish is where you want to go. This place is right up there with the best of the strip but with a smaller price tag. 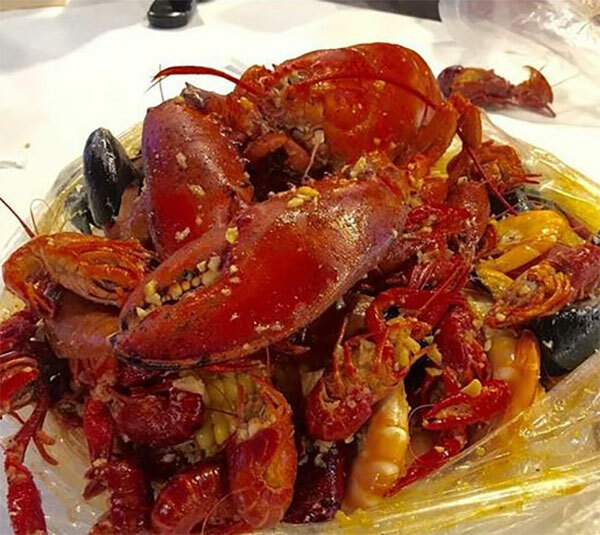 Smokin’ Crawfish is home to Cajun seafood boil. Just one whiff of their garlic lemon peppery signature sauce will have you salivating more than Pavlov’s dog! Come here for the Dungeness Crab. If you’ve never had it before, allow me to explain. This is the whole thing, not just the legs or claws you may be used to. You have crack the shell open to get to the meat. It can be a sloppy but very rewarding job. Ask for plastic gloves if you don’t want to get your hands dirty. The Must Have: Dungeness Crab. Fresh and never frozen. The Plus: Their signature sauces. The right blend of sweetness and spice. Make the Romans proud and feast your eyes on the succulent offerings at this buffet. 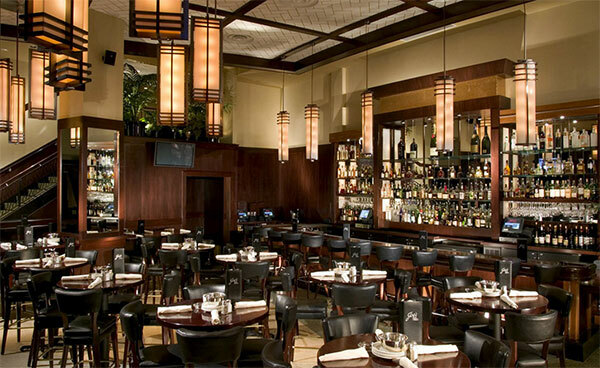 Hosted at the Caesar’s Palace Hotel and Casino, you’ll find over 500 daily offerings here, from Chinese food to Italian. But you’re really here for just one thing: King Crab. No other shellfish in the world is as loaded with flavor. 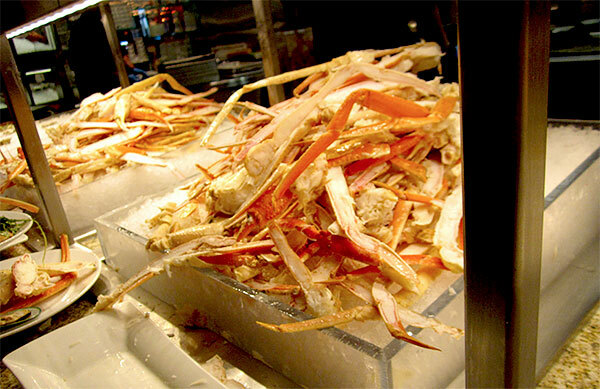 King crab is sought out for its sweet meat. And at the Bacchanal Buffet, you can have it in spades. Be forewarned: it’s one of the most expensive buffets in Vegas and always packed, but there’s a reason for that: it’s worth every distended belly and heartburn. The Must Have: The King crab. There’s a reason it’s called the king. The Plus: It’s a freaking buffet! Everything else is a plus. But you’ll be happy to hear that crab is on the menu! And more than once: Crab Risotto. Wild Blue Crab Cake. Alaskan King Crab Cake with Lobster Bisque. King Crab Louie Salad. Crab Stuffed Maine Lobster. This place takes crabs seriously. The Must Have: Anything with crab. The Plus: Oyster shooters. Grab one on your way out to a show or the tables. Crab is a true delicacy, and one that should be enjoyed to the utmost. They may not give up their treasures lightly, but once they do, it’s heaven. I’ve sourced some of the best locations Vegas has to offer for you. Need any help with reservations? You know who to call.